B.T. 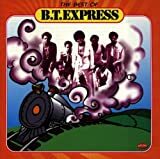 Express「Best Of B.T. Express」LP | Staygold, Ponyboy. 前 過去の投稿: 「Grand Theft Auto: San Andreas」O.S.T.